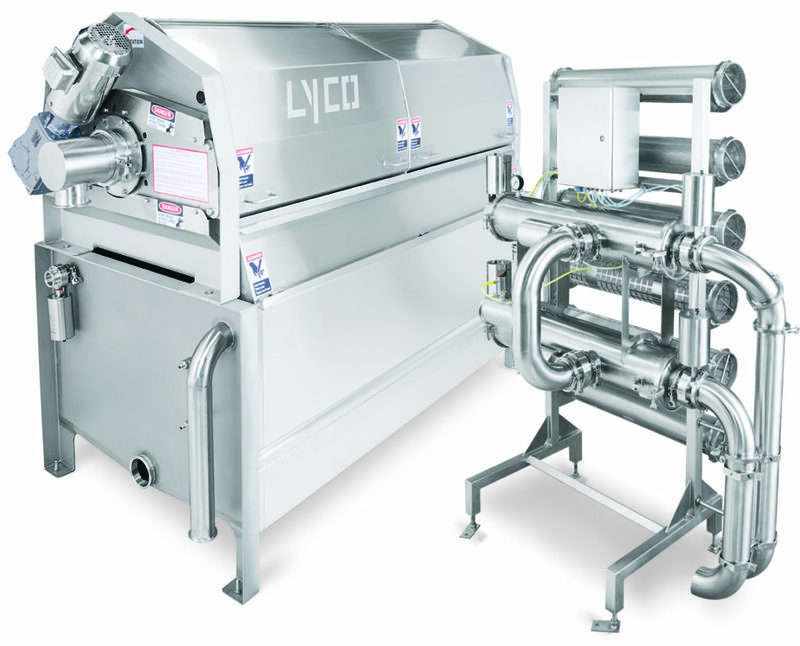 Lyco’s Water Reuse System can save money, cut cleaning and maintenance time, and reduce consumption of water resources — up to 15 million gallons per year. In poultry plants, this revolutionary system removes solids so that water can be re-used and sent back for prior processing steps. The system’s small footprint makes it ideal for many water reuse applications. A 200 GPM saving can return more than $150,000 a year. New Sanitary Zero Maintenance Screens feature covers that open for full access, Clean-In-Place system with spray balls and rapid-change dual canister filters with automated purging. Systems are available for 50 gpm – 400 gpm. Please complete all required fields so that we can expedite the handling of your question. No, I'd prefer not to receive occasional product announcements and news via email (your email address will never be shared with anyone else). Effluent is fed into the inner drum screen and this revolutionary system removes suspended solids, then counter flows the water for reuse, compared to product flow. Amount of water reuse available will depend upon the type of product passing through the system.